Magnolia Grove - Friday, May 20th, 2016. 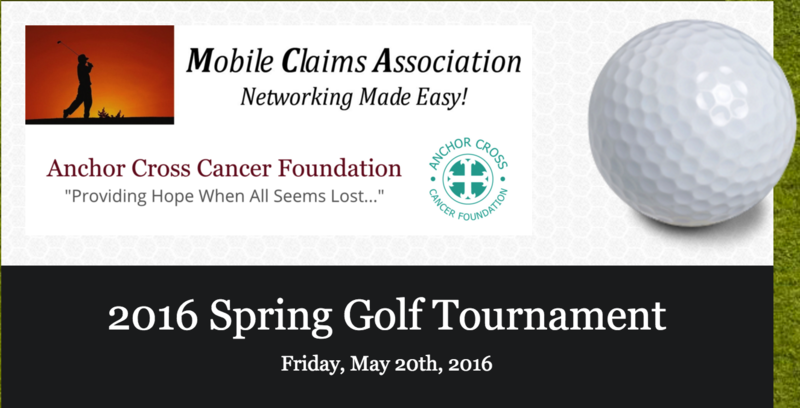 This year there are additional opportunities for sponsorship, in addition to the hole sponsorship packages. Because we are holding this event at Magnolia Grove (“Top 50 Public Courses" by Golf World Magazine readers) we will have a lunch reception and after our tournament we will conclude the event with awards ceremony. Our sponsors will have the opportunity to mingle and present their sponsorship to the winners. Special thanks to all our vendors. Each year this event is made possible by the support of our vendors and MCA sincerely appreciates them. “Networking Made Easy” Keep our associates in your mind when doing business in our industry. Please remember all proceeds of this tournament will benefit Anchor Cross Cancer Foundation "Providing Hope When All Seems Lost..."
​If you have questions regarding this event please contact us.